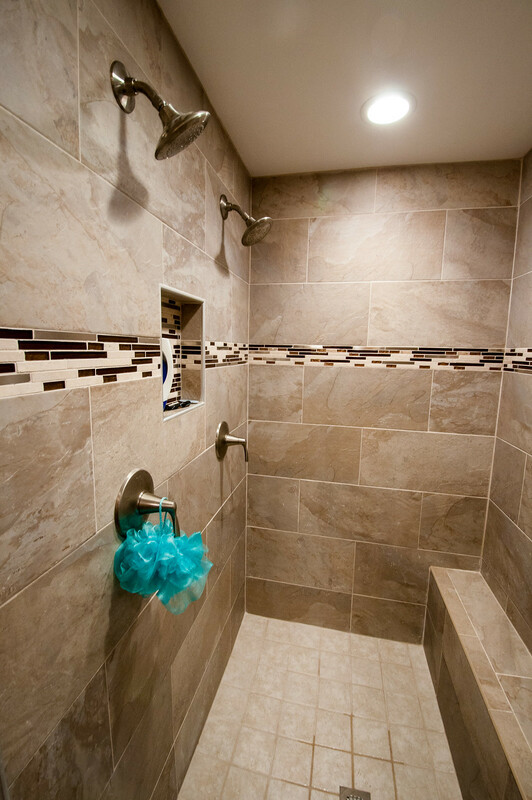 Well, the master bathroom overhaul is officially complete. Aside from some re-organization and final decorative touches, we’re all done with the house…for now. The bathroom ended up taking about a full month to complete. We started with a blank slate and the final product is more than I could have ever imagined. And here’s what we’re working with now! I would sleep in there if I could. 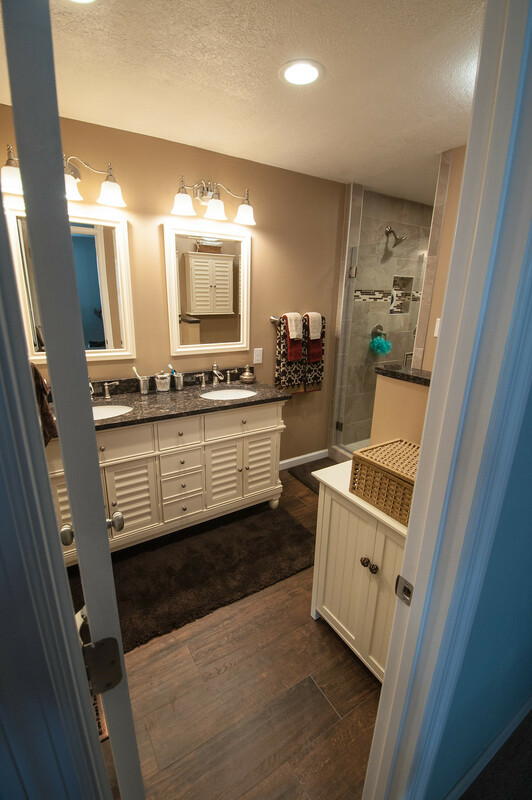 When we combined the two back bedrooms to make one large master bedroom, Mike built the walk in closet and bathroom. 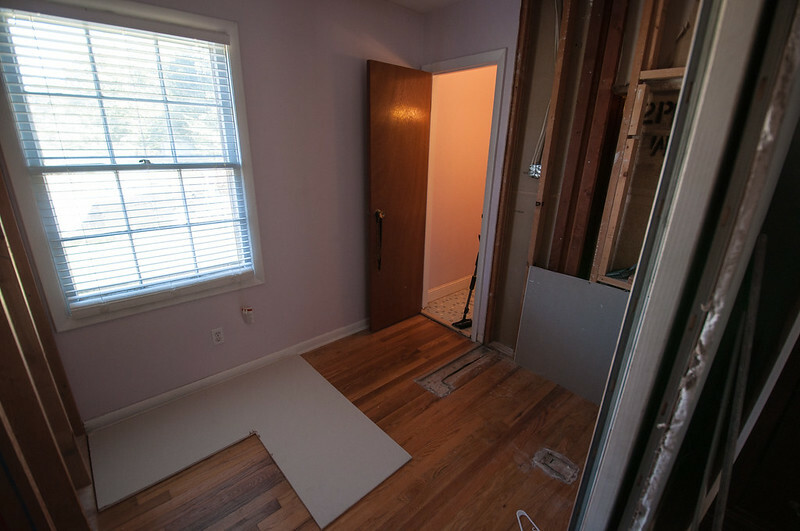 The “new” bathroom was a hybrid of the bedroom and original bathroom that was already there, so we had two spaces to transform. 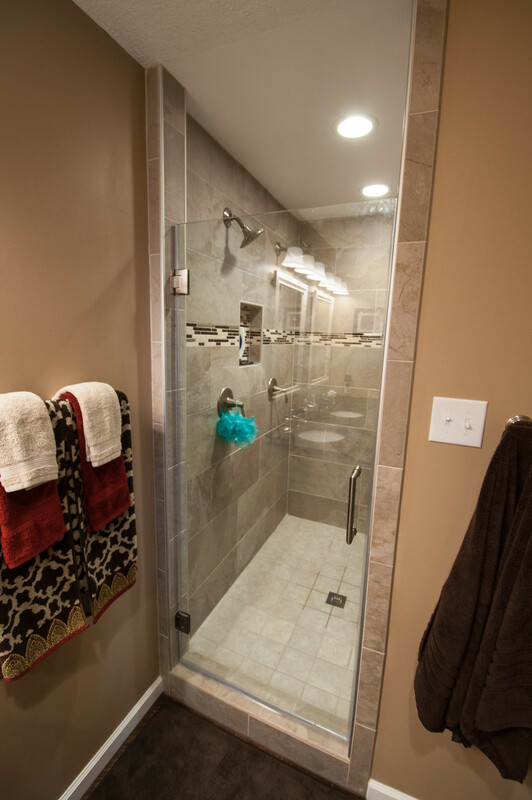 The original plan was to keep the existing water closet as it was, and then just add a vanity and shower to the bigger space. 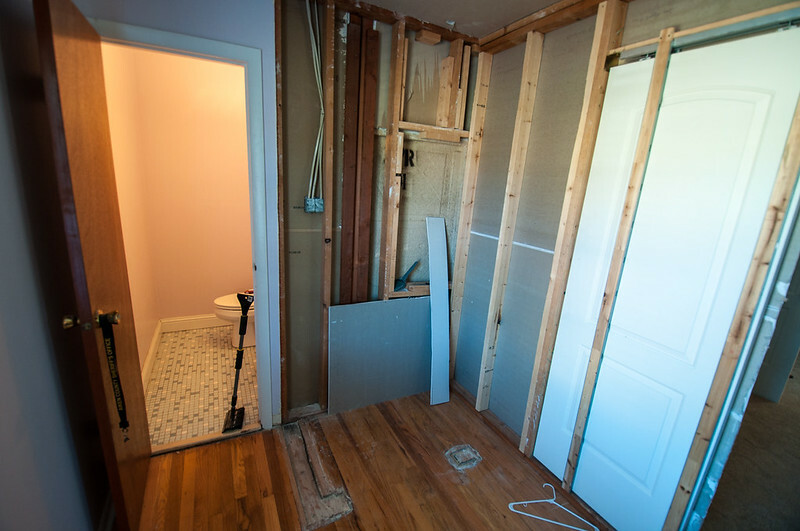 We were having some issues planning the layout for that configuration until Mike had the idea to tear out the old toilet and sink and make the smaller room into a giant shower. So that’s what we did. We were also just going to tile over the hardwood floor, but discovered some pretty serious water damage that required total floor removal and replacement. The boys pulled out the old dry wall and tile in the existing bathroom. That’s when we found the water damage. We frosted the glass and then covered up the window so that we’d have more wall space to play with. 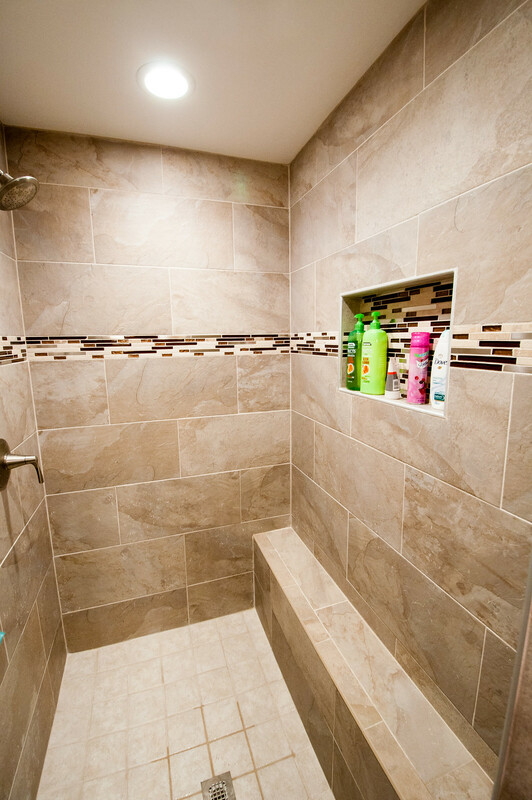 We turned the original bathroom into a shower. The space by the toilet got a knee-wall for a little bit of privacy. We put down wood grain tile in the big room. I seriously love that stuff. We bought a 60 inch double vanity, matching mirrors and a storage cabinet for over the toilet. Paint. Paint was the hardest part of this whole thing for me. We must have bought 45 samples before I finally decided. We considered greys, reds, coppers, blues, pretty much everything. We ordered a custom granite counter top and knee-wall topper. We bought a small linen cabinet for the space by the door. Behind the door we hung a huge full length mirror. Mike also had to completely re-do all the plumbing under the house which was a huge project. Plus a seemingly endless list of little mishaps and annoyances, but it’s finally finished and now we get to enjoy it!